If you’re a small or large organisation with multiple computers connected together then you most likely have a network setup for these computers to communicate with each other. This means you can connect a printer to your network so that everyone in the office who is also connected to the network will have access to that printer. A communal printer is great way to reduce costs or the number of printers in your office. This is easy to setup and connect and is a perfect solution for small businesses who require one printer. If you already have a network setup, you can simply network a printer to a new computer on the network. Follow the add a new printer process but selecting network a printer instead. When you want to print something it will transfer the document through the network to the printer and add it to the queue. This is how it manages with multiple people trying to print at one time. Imagine in a large office, where there are 50 staff members, and all of them need to be able to access a printer. It would be logistically unsuitable not to use a network. Without a network you would be transferring a document onto the host computer every time you wanted to print it. With a network you might only need a single printer connected through one Ethernet wire or even wirelessly to the network and the entire office needs might be met, if there’s demand for more printers it’s easy to simply add another network printer to the system. What does it mean to network a printer? A network can be anything from the internet to a local network simply between a few computers in your office. 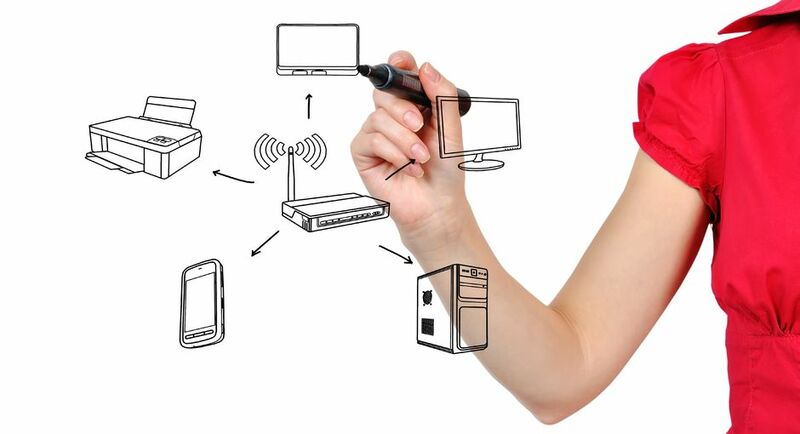 When multiple computers are connected together it forms a network. The purpose of this is to be able to quickly and efficiently transfer data between computers. The data being transferred is known as a “packets”. Networks are proven to be the most effective system for offices which is why they’re already widely used in most. What makes a network so great? There’s a vast amount of reasons as to why you should use a network for many things, not just printing. Cutting down the amount of printers you use ultimately saves money. This makes it easier to upgrade the ones that are left to more efficient models. Files can be shared over the network so you no longer need to manually transfer them. Certain types of documents such as shared ones that are accessed and edited by multiple people at one time wouldn’t exist without networks. The importance of business back up in your day to day operations Why should I consider a server for my business or home office?